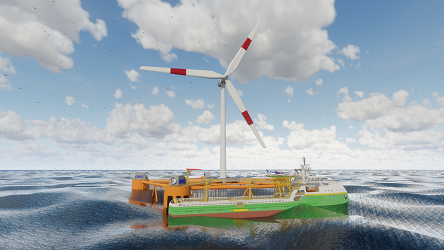 In the coming years, the world’s oceans will see a growing development of marine infrastructures including offshore wind farms, marine aquaculture farms and offshore ports. These will provide business opportunities for a wide variety of marine businesses from designers, boat builders, marine service companies and aquaculture businesses. The development of such structures and facilities will create increasing pressures and must be implemented in an integrated and sustainable way in order to limit the impacts on marine ecosystems. Offshore Platforms (also known as Multi-Use Platforms at Sea, or MUPS) can represent a solution to meet these growing demands of competition for space as well as socio-economic benefits for the different activities. In order to find out more about the business opportunities of Multi-Use Platforms at Sea please sign up to receive regular updates, details of events and business opportunities and findings from the various projects Marine South East is involved with looking at these offshore multi-use structures. Please follow the link below to sign up to the interest group. The group is free to join and no data will be shared or disseminated.